In just a few days, this website and blog will be exactly two years old. 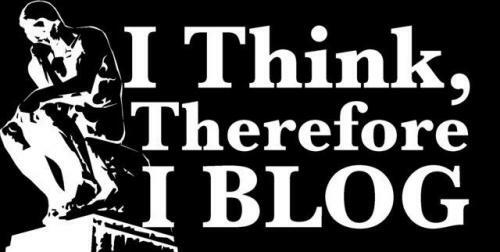 In the world of bloggers, I’m a newbie; in the science world of some blogs that have been around since the advent of the internet as we know it, I’m a mere infant. When I first started the blog in January 2012, I had a grand total of 262 visitors. For the whole month! Now, I’ll frequently get over 262 visitors in an hour. I’m just a few page views short of 1 million for the past 2 years. In 2014, I am hoping to exceed 1 million page views for the year. Right now, according to Alexa (a website ranking service), this website is ranked #277,281. Out of six hundred million websites (give or take a couple), this one is in the top 0.05% of all websites on the internet. I make no pretense that I built this website’s ranking alone, I think I got lucky. I wrote a number of articles, that debunked common pseudoscience myths (wait, pseudoscience by definition is a myth), which became big hits on social media. And I have readers from all over the world. Most of my readers are from English-speaking countries like the USA, UK, Australia, New Zealand and Canada. But I have boatloads of hits from Germany, France, Israel, Japan, Russia, Sweden, and many other countries. I try to remember that I’ve got an international audience, but I know some of my writing tends to be American focused. I try to resist the urge to use American metaphors, but sometimes it’s just not easy. Amazingly, I have a couple of hits from Iran over the past couple of years. Iran blocks internet access to the outside world, so it’s probably some government institution–maybe the Chief Minister of Health wants information about whether he should vaccinate his children! I believe the only country that hasn’t read my blog is North Korea–I don’t know what to say about that. Good? Yes, there is some satisfaction in growing a blog from nothing (I mean literally nothing) to being one of the top websites (broadly defined) on the internet. No, this website is not going to compete with Facebook for #1. I don’t even think I’ll compete for the top science (or more specifically, skepticism) blog/websites on the internet. Sometimes I am amazed by what I read from a few of the top authors in science and medicine. I’m envious that Science-Based Medicine can have articles that get close to 100 comments for every post, whereas I’m lucky to get 10. I’m also covetous of the skills that the authors at SBM employ to be so snarky, intelligent, and scientific in 2000 words (or more). There are so many science, medicine and skepticism authors who blog, I can’t even begin to mention them all, but I wish I knew the secret to how they can write, raise a family, have a career, and read all the peer-reviewed information out there in the world; and not get stressed! I like writing this blog, because I simply enjoy writing. I like a good turn of phrase. I like it when I gain some insight into a problem and try to communicate it. I enjoy researching each of my blog posts, attempting to find information that fills in a blank, or answers a question. Like many bloggers in science, completing a good article is not just simply streaming a bunch of words together, but it requires reading very difficult papers, attempting to get them to fit into the story (or not), and getting to a conclusion. It’s fun but it’s hard. And one thing that’s really difficult for me–the title. It’s supposed to be nothing more than 70 characters (rules sort of established by Google and other search engines). But, it is so hard to invent a catchy name, make it represent what is being written, and fit it in the search engine requirements. I think that level of creativity was missing in my education, since I was required to write papers with obscure scientific titles. They were, in general, not very catchy. There are other reasons I write. I think science has been disregarded by many people. Many of the bright minds in the world head off to get MBA’s and work in finance. Why? Because MBA’s who go into finance make boatloads more money than a Ph.D. researcher in viruses. I might be oversimplifying the choices, but sometimes I wonder. But people also ignore and dismiss science because they think it’s a religion or opinion. They think that if a scientific idea doesn’t fit their own idea of the universe, it’s no different than someone who thinks that dark chocolate is better tasting than white chocolate. There seems to be lack of understanding that science is based on evidence which is based on data that is gathered in a logical and rational manner. And dark chocolate tastes way better than white chocolate, which really isn’t chocolate. I am also a skeptic. As I’ve said before, I am a scientific skeptic, which is the noble pursuit and accumulation of evidence, based on the scientific method, which is used to question and doubt claims and assertions. A scientific skeptic will hold the accumulation of evidence as fundamentally critical to the examination of claims. Moreover, a true skeptic does not accept all evidence as being equal in quality, but, in fact, will give more weight to evidence which is derived from the scientific method and less weight to poorly obtained and poorly scrutinized evidence. Some people want to be a “skeptics” of evolution or vaccines, but unless one can provide the world with evidence in equivalent quality and quantity as what has been presented in support of evolution or vaccines (or any other field of knowledge is being attacked by pseudoskeptics), those fake skeptics should be mocked relentlessly. And they are. I also write because it brings me peace and comfort. There is just something enjoyable and satisfying about writing something that others can read. And based on what I’ve observed, some of what I’ve written has been used by lots of people to debunk some of the insane pseudoscience out there. Anyways, as I head into the third year of this blog, I want to thank everyone who reads it. I want to thank everyone who comments. But I also want to extend my gratitude to the group out there that point out spelling mistakes and grammatical errors. Back before I wrote a blog, whenever I read those kind of comments in blog comments, I would think “get a life dude.” Now I appreciate it, because I don’t want my blog to be out there in the interwebs with stupid spelling errors. It’s embarrassing. So thanks, I really appreciate it. Over the past 2 years, I’ve written over 520 articles, around 5 or so a week. Amazingly, one article makes up over 15% of my total page hits, and to this day, I don’t know why. During the next few days, I’m going to republish the top 10 articles I’ve written over the past 2 years. It’s based on some magical and secret formula of how much I enjoyed writing it plus how many times it’s been read by the public. And if there are spelling errors…well, you know what to do! And I’ll tell you what that #1 article is. Have a great New Year loyal readers. I’ve got to get ready to write another 250 articles in 2014.